For swimming lessons and other aquatic activities,consult the booklet of the City of Terrebonne. Located at the Cité du Sport, the aquatic complex includes an Olympic swimming pool (10 corridors of 50 meters with 7 jumps of 1m and 3m) and a recreational pool which includes a warming pool, water games, slips and therapeutic hydrojets. Few basins offer these characteristics in Quebec. The City of Terrebonne offers a host of activities for all age groups. It is also the training place for swimming, diving, synchronized swimming and water polo clubs. 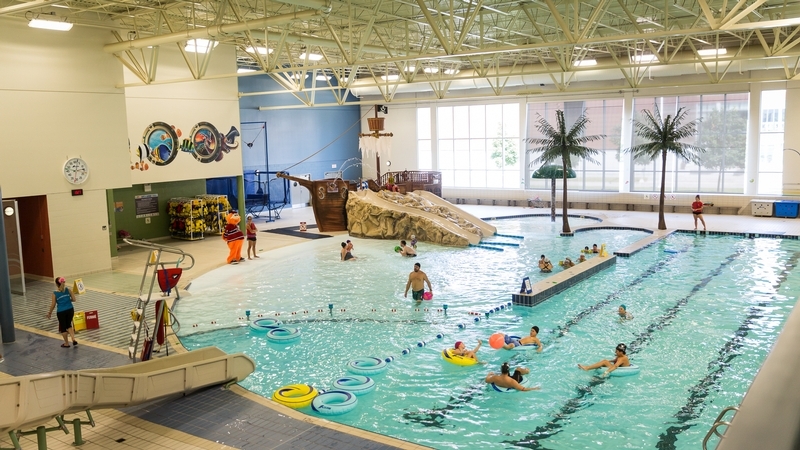 Terrebonne puts at your fingertips aquatic and sports facilities of international caliber. Here, fin the schedule that suits you to enjoy! Registrations are made from the organizations. The Triathlon Rive Nord Club wants to allow the grestest number to discover the triathlon. It is a family team that wants to promote healty lifestyles and the development of everyone's sporting abilities. Our goal : that young and old alike have fun coming to train together and grow as triathletes.